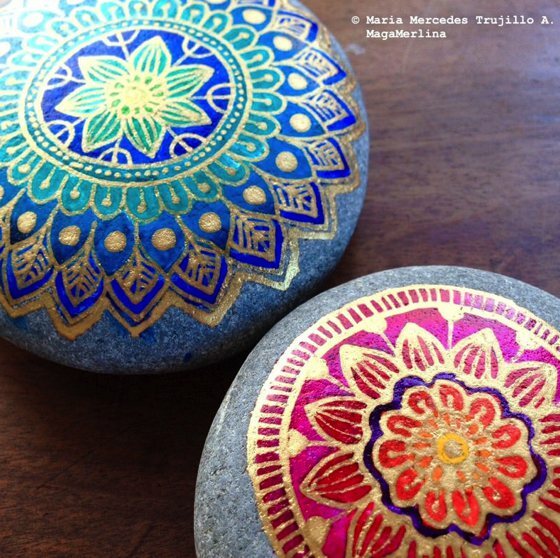 Maria Mercedes Trujillo A. 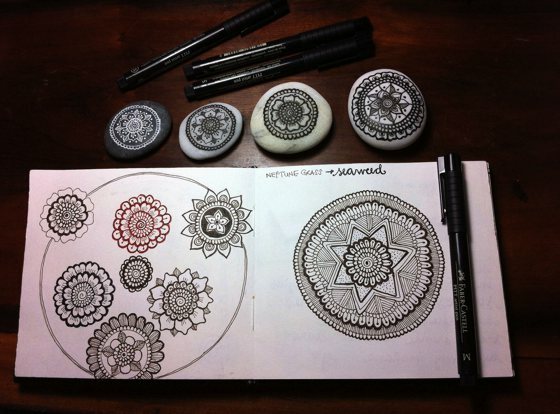 (aka MagaMerlina) is a self-taught illustrator-crafter from Bogotá-Colombia, who lives now in New Zealand. 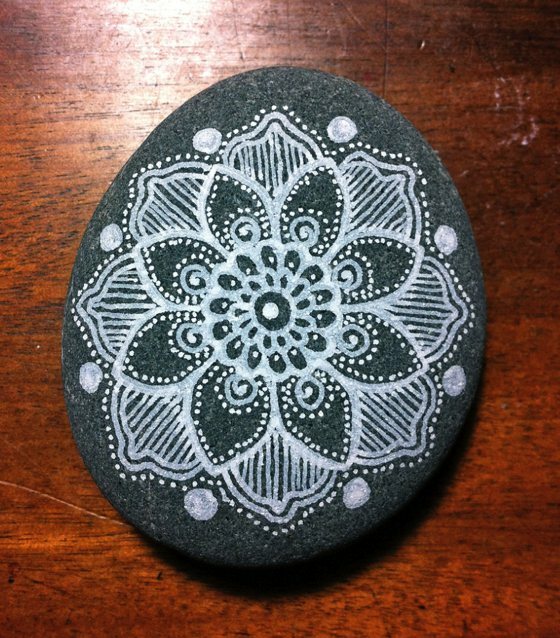 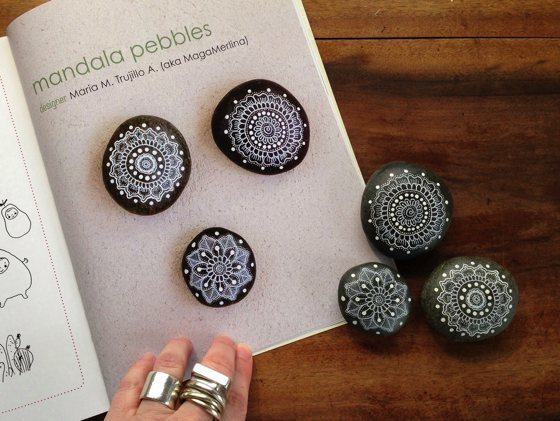 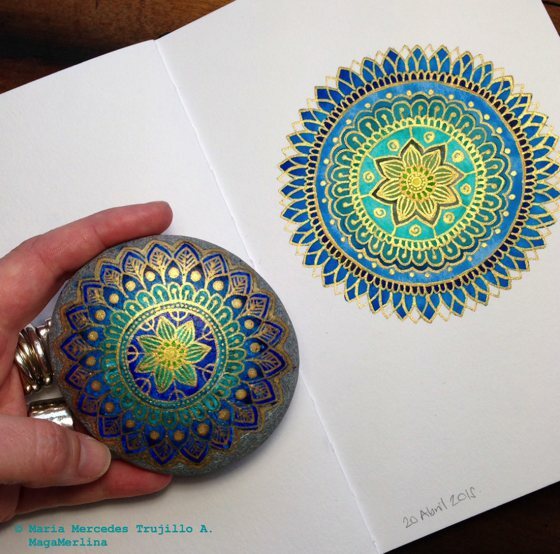 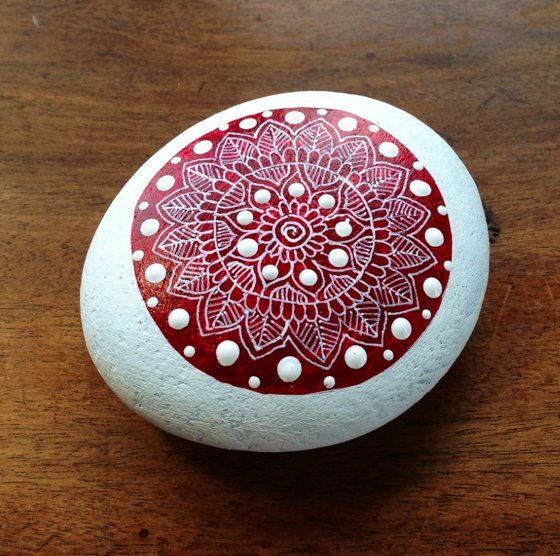 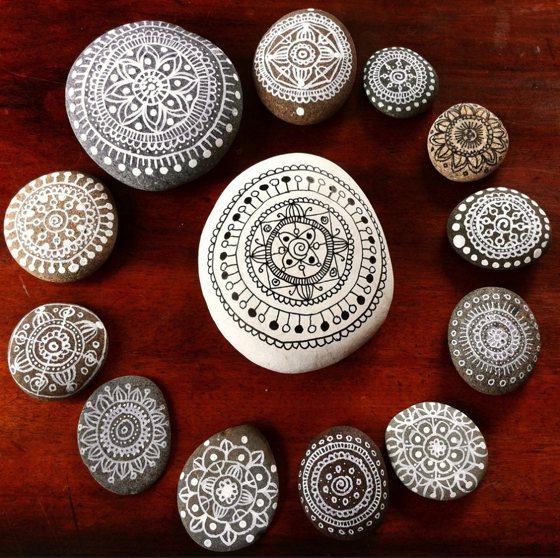 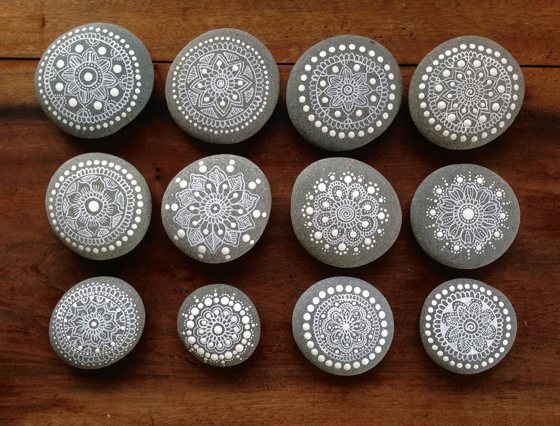 She loves Mandalas, that are often present in her work. 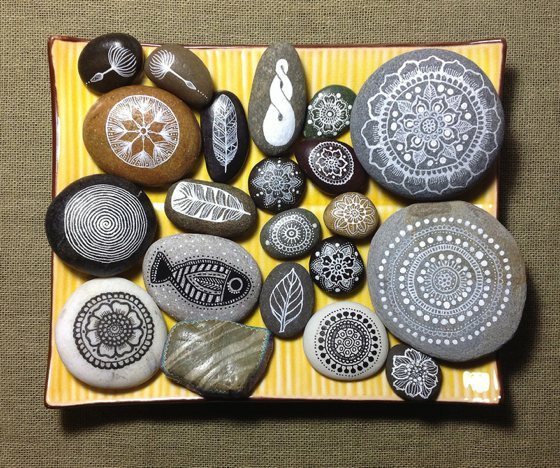 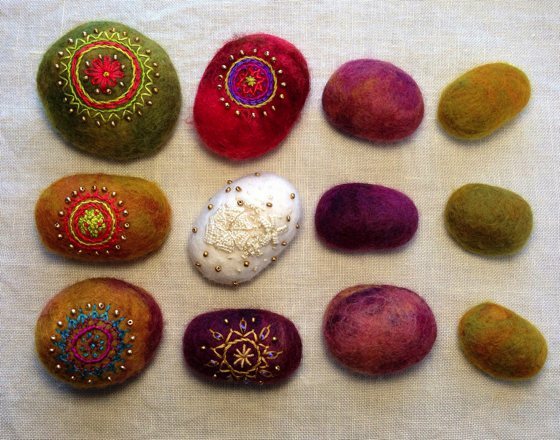 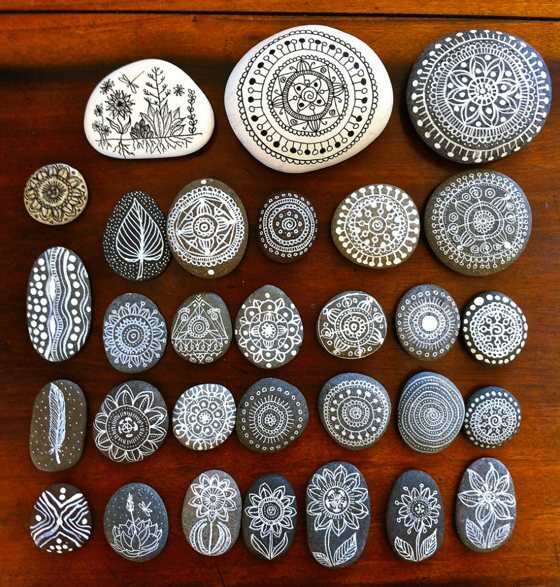 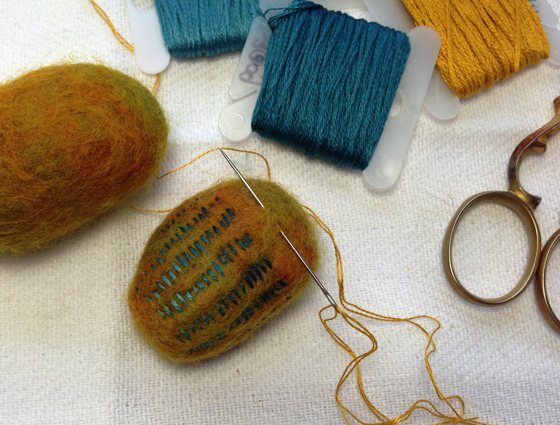 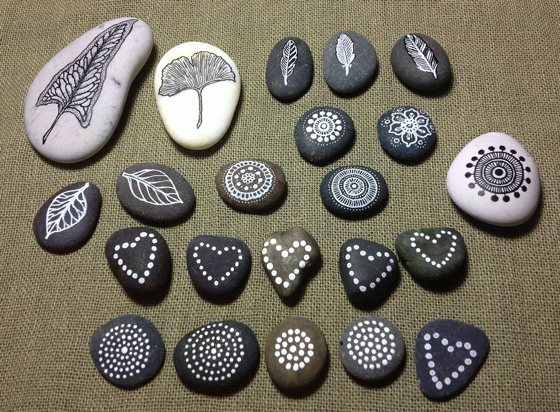 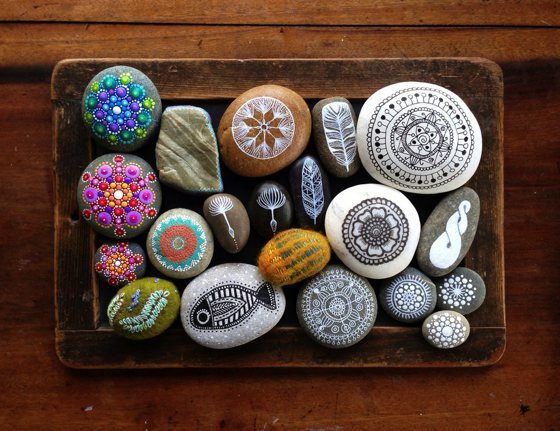 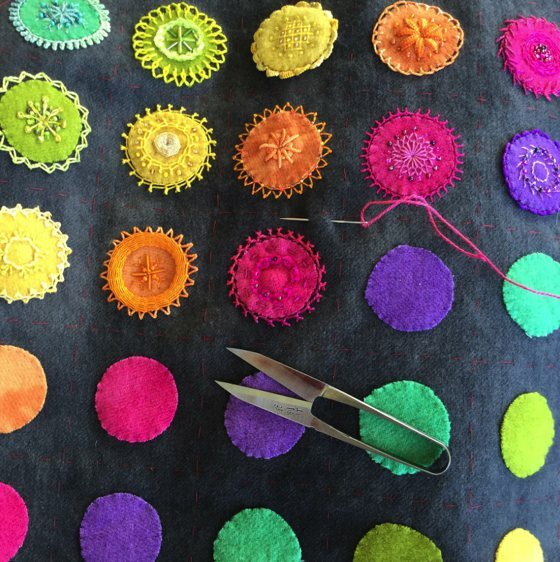 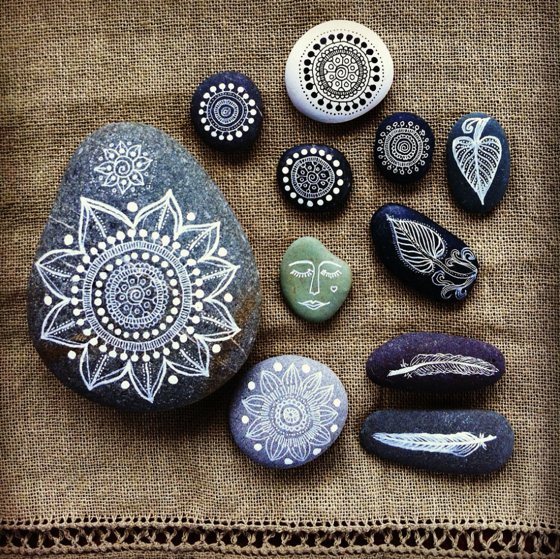 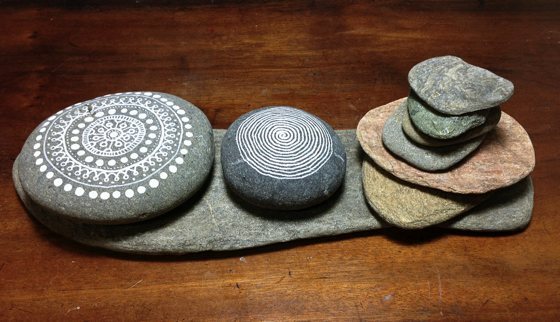 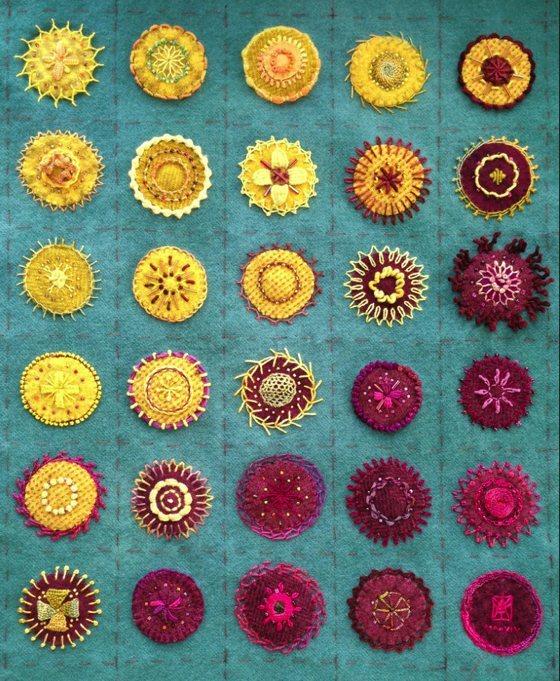 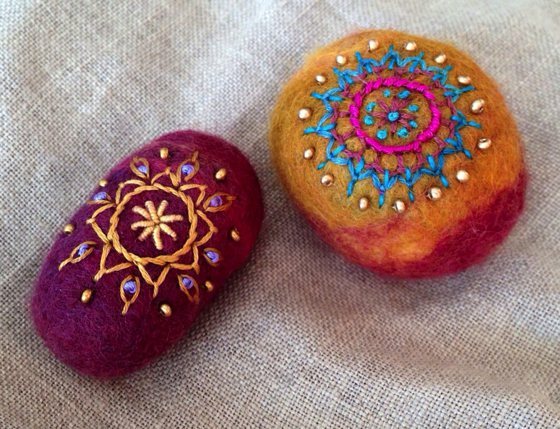 Today I show you some examples of her creations, painted pebbles, embroideries, and felted pebbles as well. 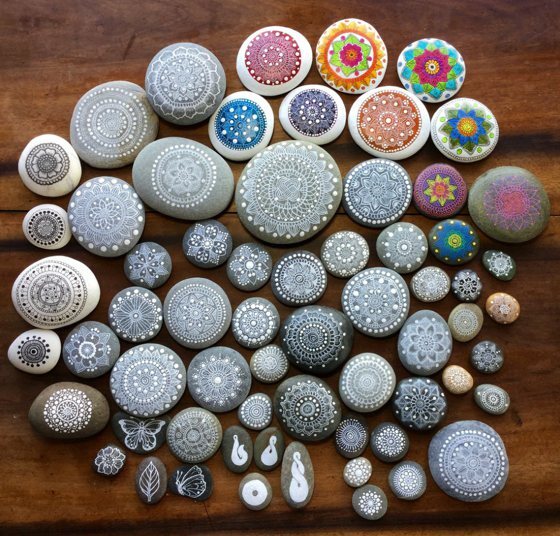 Super-fine!